The next Monastic Institute will be June 27 to July 29, 2019. Registration deadline is April 1. The next Institute will be June 27 to July 29, 2019. Mepkin Abbey offers an opportunity for men of any faith tradition to have a month-long immersion experience of monastic life. Monastic Guests come for a sabbatical or often as a personal transition time while sharing fully in the daily routine of monks from Vigils at 3:20 AM to Compline at 7:30 PM. They are provided with a room and private bath within the monastic enclosure. For more information or to request an application, contact: monasticguestmap@gmail.com. 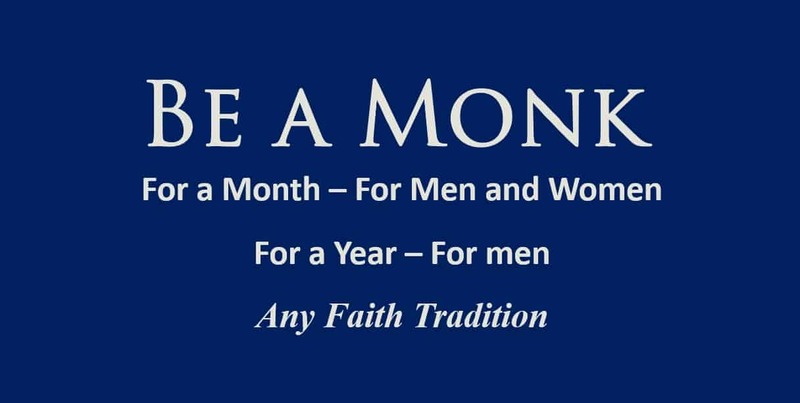 This program, for men of any faith tradition, entails a temporary commitment of a year as an affiliate member of our Mepkin Community, living the Cistercian way of life. Those accepted into the program engage fully in all the activities of the monks. These include, liturgical prayer seven times a day, personal prayer, manual labor, some community meetings, spiritual companioning and formal classes. Those interested are required to attend the Monastic Institute Program. For more information or to request an application, contact monasticresidencymap@gmail.com. Those wishing to have an integral experience of monastic life as the monks live it. Those discerning a call to full membership in a monastic order. Divinity students or seminarians who would like to explore this aspect of our Christian heritage and what relevance it may have to today’s world. College students wishing to take a gap year or a time to prayerfully discern their future. Those already living in an intentional community or wishing to be part of one. Those who have recently retired or have some distance from the experience of the death of a spouse and others in a time of transition. Members of other religious orders and diocesan priests. Those on sabbatical, particularly those serving in ministry. https://mepkinabbey.org/wp-content/uploads/2017/12/image-05-25-18-18-26-52.jpg 612 1216 Mepkin Abbey /wp-content/uploads/2019/02/logo.png Mepkin Abbey2017-12-18 12:26:252019-03-30 17:49:25The next Monastic Institute will be June 27 to July 29, 2019. Registration deadline is April 1.